By Bay Area Bird HospitalApril 10, 2017Feathers, Furs, and Scales! Can a Band on a Pet Bird be Good? 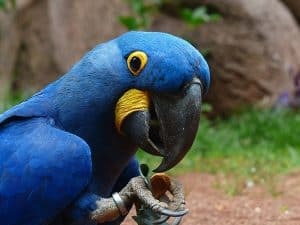 International Travel may require unique identification and some birds are too small for microchips. 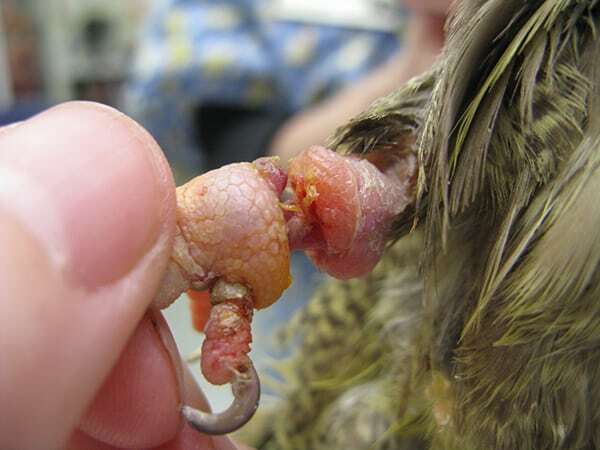 Identification in a breeding situation ensures that birds are not mixed up – which is especially important if there are subtle health issues. 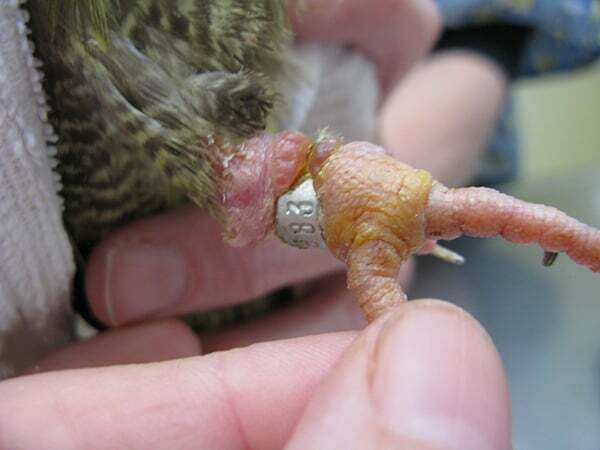 A band, if the number is known, is a way to prove the bird belongs to you. So Why is a Band ever Bad? 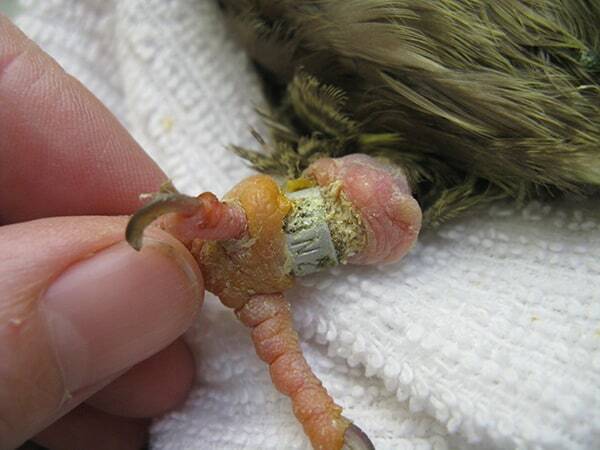 Larger birds can be microchipped. Birds that have left a group situation no longer need their bands. Since there is no central database for bands they cannot be used to track down an owner. Why Should You Remove a Band? The main reason – to prevent injury. 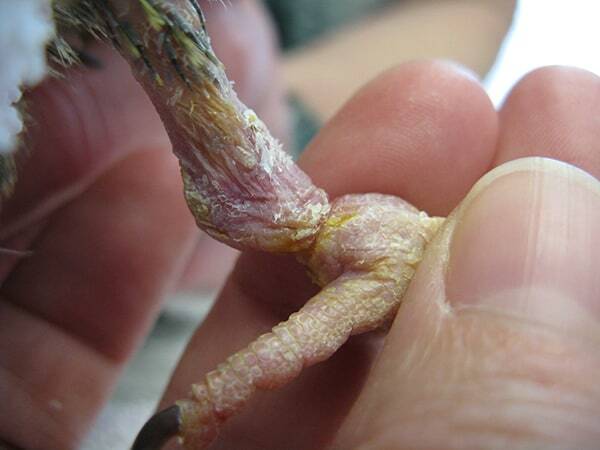 We see birds who damage or break their legs because the band got caught on something. They can irritate or annoy birds causing them to bite at the band. If the leg is injured it may be difficult or impossible to remove the band without causing further injury. Luckily we were able to remove the band and with supportive care the leg has healed well…if a little different from her other leg! It could have been much worse – the pressure can cause damage to the bone. In Jackie’s case, she didn’t need surgery to repair the leg since there was no exposed bone and she still had good blood flow to all the digits. 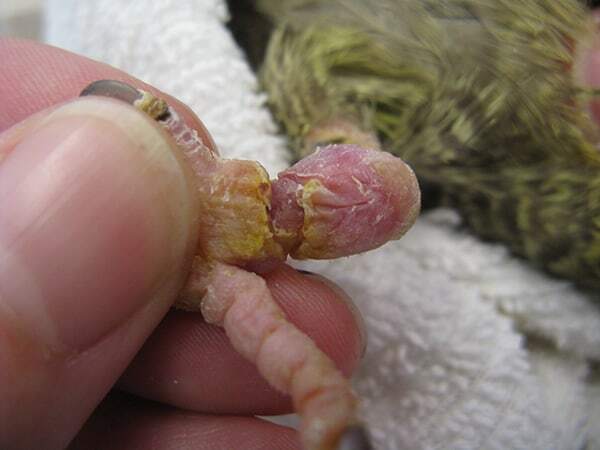 Her smallest toe was damaged – it is likely permanently pushed forward due to the swelling. Maybe it too will heal with time.